The Master represented the Company at Parliamemt for the official launch of the discussion document Sea Change by Minister of Transport Hon. Annette King. The New Zealand Government is committed to facilitating a revival of coastal shipping in New Zealand and says that without question, coastal shopping has been neglected in the past years. About 15% of domestic cargo is transported by sea. The aim is to increase this amount to 30% by the year 2040. Sea Change is a signal of the government’s strong commitment to coastal shipping and of its belief that coastal shipping has an essential role to play in creating more efficient and competitive supply chains and in creating an integrated transport system offering greater capacity and greater choice. An important step will be the establishment of a Maritime Liaison Unit. A revitalised coastal shipping industry will need more skilled people. More than one third of the present workforce engaged in coastal shipping is over 60 years of age. There is strong international competition for qualified personnel. For qualifications such as Class 1 & 2 (master & mate foreign going) a considerable amount of foreign going sea time is required. The issue of qualifying sea service requirements has been recently reviewed and the rule amended to allow foreign going sea time to be replaced with a voyage duration specification, as is done in some other countries. In addition to Sea Change two other documents were released for discussion. Port and Harbour and Safety Navigation Management. Currently, port and harbour safety is managed largely through a voluntary code that has no legal force. This document looks at the implications of this situation for safety outcomes and also whether there is scope to improve arrangements for dealing with navigation safety in areas outside ports and harbours. 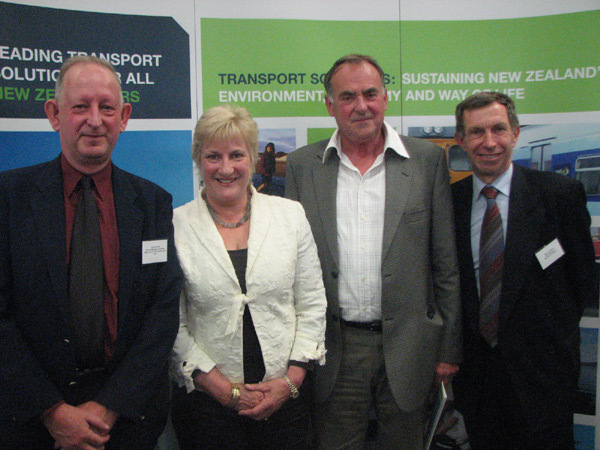 Four International Maritime Environmental Conventions/Protocols which New Zealand is considering becoming party to. The four conventions/protocols have been promulgated by the International Maritime Organisation, and provide global mechanisms for addressing the pollution risks that exist from the transport of substances by sea. The discussion document considers conventions/protocols concerned with intervention powers and preparedness and response measures for hazardous and noxious substance spills, and liability and compensation regimes for damage caused by marine incidents including from bunker fuel oil. Hard copies of the discussion documents are also available. If you would like to receive a paper copy of any of the documents please send an email to the below addresses and provide a full postal address. The closing date for submissions on all of these documents is 19 December 2007. The Ministry has also arranged public workshops to brief interested stakeholders and answer questions on these documents.